Remember last December when I was asked by Res Toe Run and Shulong Philippines to customise a pair of Yourshu's? Part of the plan was to exhibit them at a Res Toe Run branch. It's been a long while since then and I thought it wasn't going to happen anymore but it finally did!!! Here's the black Yourshu's I customised for Shulong. I was inspired by traditional Moroccan fashion and all the great rock stars of 1965-1975. I am quite heavily into rock history which made me notice that most rock musicians then like Jim Morriso, John Lennon and the rest of The Beatles would often go to Morocco for leisure, higher learning and self exploration. After their trip, they would come back with lots of beaded clothing and accessories. Pamela Courson (Morisson's girlfriend) even had a boutique that she used to stock with gorgeous, embellished Morrocan pieces. My customised Shulong Yourshu's are currently on exhibit at Res Toe Run in Robinsons Magnolia. Part of having an exhibit is also being a visual merchandiser for a day. It all was kinda last minute so I ended up spending yesterday afternoon rummaging around our house for things I could use for my table display. I set everything up last night as well. It was exhilarating and tons of fun! 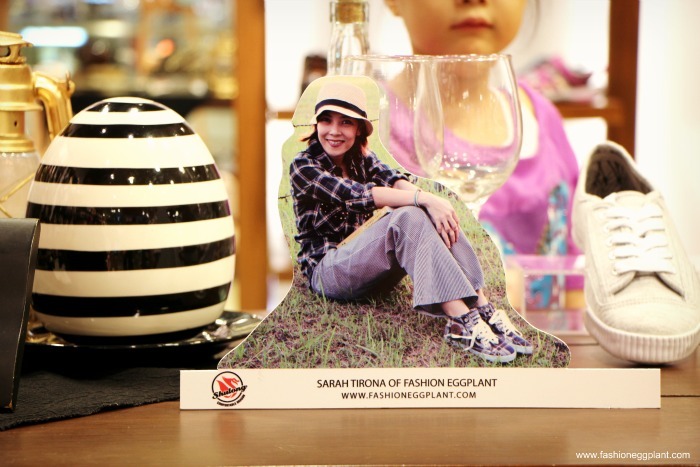 They even created a miniature "standee" of myself for the month long exhibit!!! After a little bit of fiddling here and there I was finally done. 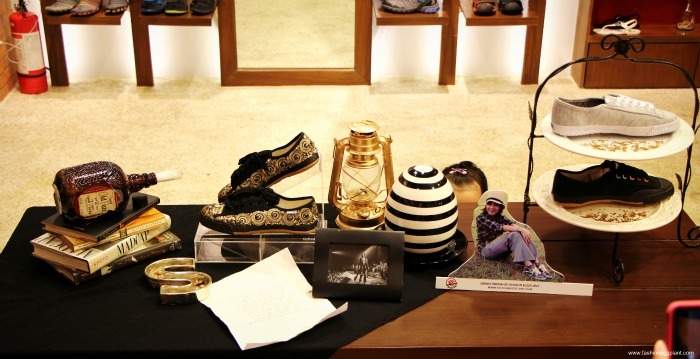 The table I designed was synonymous in colors to my customised shoes. I tried to create a sort of vintage "romantic writer's" vibe. Hence the lantern, printed poem of Byron, books and an Old Parr bottle with a message inside. Finished it off with a framed photo of Mick Jagger and the Rolling Stones wearing a beaded jumpsuit. I would like to extend my deepest gratitude to the Primer Group, Res Toe Run and Shulong Philippines for giving me this opportunity and making one of my dreams into a reality. It's one more thing crossed off the bucket list and I feel like a legit artist! oh wow! congratulations, Sarah! this is such a big break! 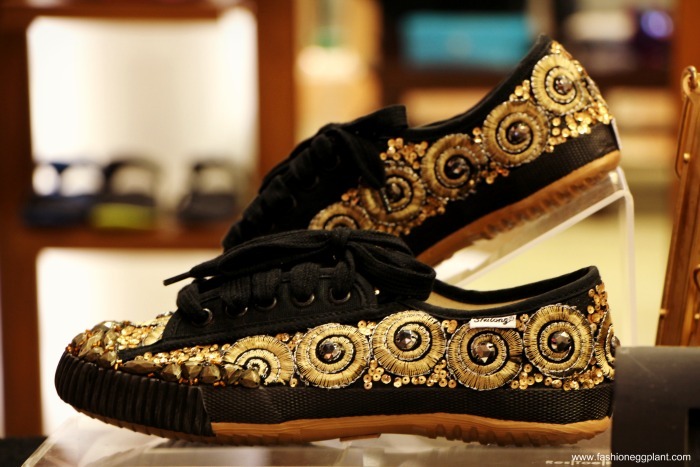 love the shoes you designed as well!